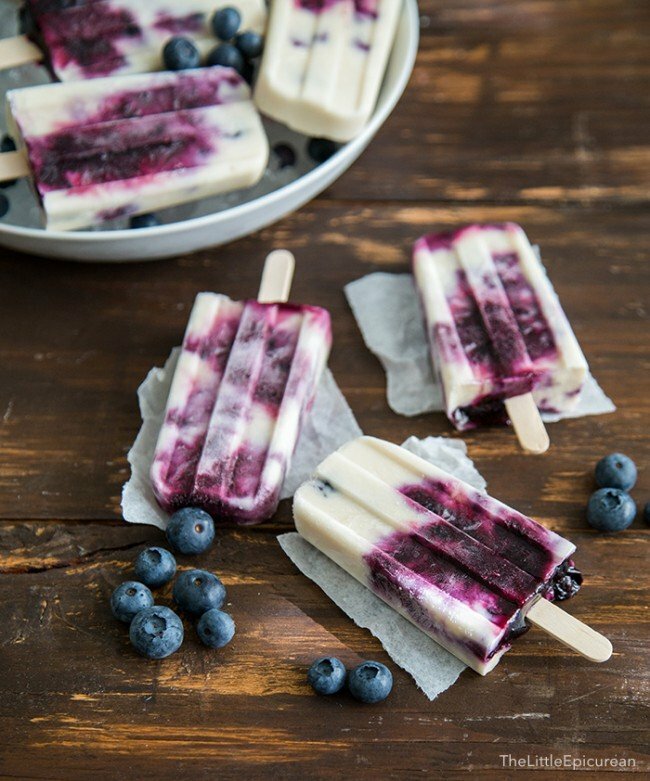 Refined sugar-free and dairy-free, these blueberry coconut ice pops make a healthy and satisfying summer treat. With only a handful of ingredients, they’re a breeze to make! This weekend we celebrated my mom’s birthday. Did you see the olive oil cake with coconut cream cheese frosting and edible flowers I made her? Today’s recipe just as special as my mom’s birthday cake. This vegan/vegetarian dessert is refined sugar-free, dairy-free and soy-free. 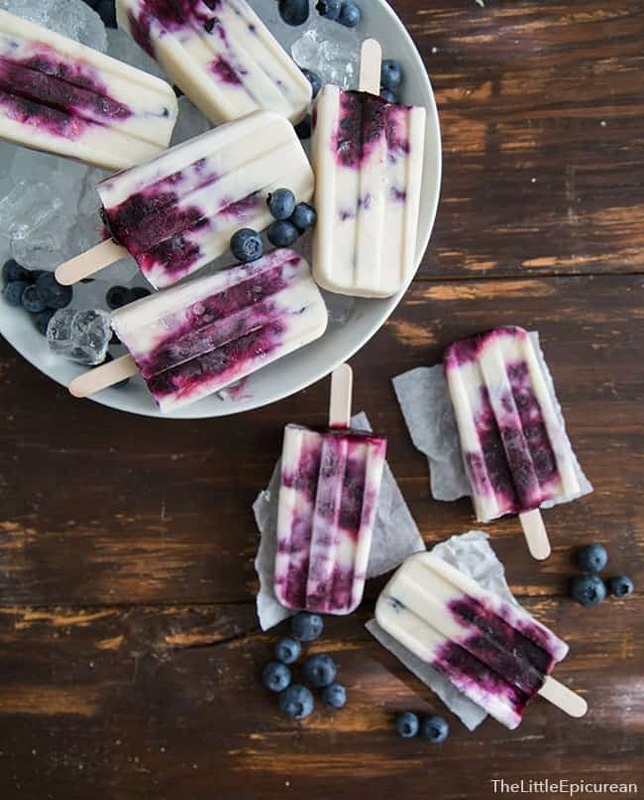 I only used maple syrup (real maple syrup, none of that sugary imitation stuff) to lightly sweeten these blueberry coconut ice pops. Instead of milk, I used a mixture of almond milk and coconut milk to make this ice pop creamy and dreamy. As a kid, I was obsessed with Otter Pops. During the summer I had this need to eat them everyday. I liked all the different colors and flavors they came in. I enjoyed taking them home in their liquid state and waiting for them to freeze. Eventually my mom stopped buying them because she realized they were just made with sugar and water. My mom explained to me how she would make her own frozen ice pops in the Philippines using different fruit juices. She bought long, skinny ice bags (similar to those used for Otter Pops) and we began experimenting with different flavor combos. No matter what combination I came up with, regardless of how disgusting or gross it might turn out, my mom never discouraged me. Obviously, a 6-year old is bound to make a mess in the kitchen, but she never scolded me. Instead of store-bought orange juice, I remember insisting on fresh squeezed because I wanted a ton of pulp in my juice. We had this old juicer that was really loud and squirted juice all over the place. I remember it being fun, but I also don’t remember ever having to clean up. Who knows the crazy and strange flavors I came up. I never ate them because the ones my mom made were much more enticing. One of my favorite flavors she made was her version of Hawaiian Punch (that super sugary red drink that I was also obsessed with). She mixed together pineapple juice, orange juice, and lemon soda with a touch of cherry jello powder. It was AMAZING. 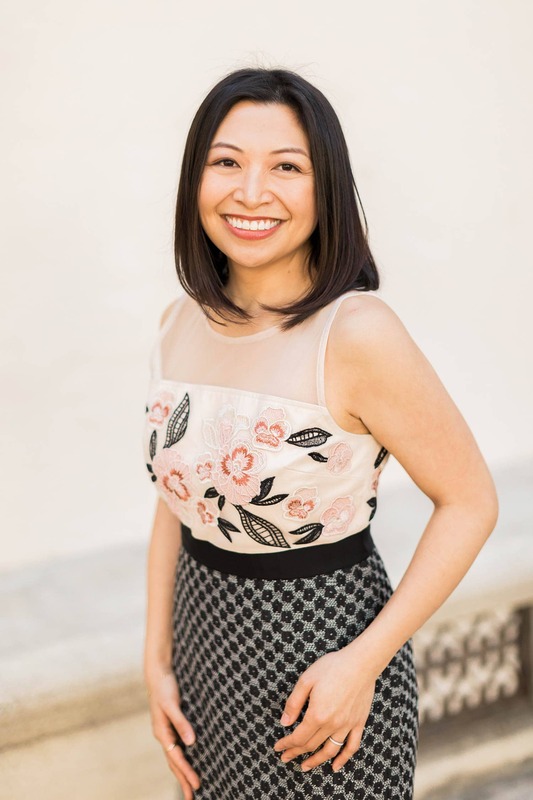 Every summer I would look forward to all the frozen treats we’d make together… up until a certain point (you know, mother’s dreaded pre-teen/teenage years), when I didn’t want to anymore. Thank goodness those teenage angst years are long over with. Nowadays, there’s nothing I want more than to spend as much time with my mom doing anything… cooking, eating, shopping, or even just watching tv together. Thank goodness my palate has also evolved over the years. I now know that orange juice and grape juice do not taste good mixed together. Same goes for milk and apple juice. Yuck! Thanks for making me the most delicious homemade popsicles/ice pops/frozen treats ever, Mom. Thank you for all the life lessons you’ve taught me in and out of the kitchen. Thank you for fueling my curiosity, allowing me to explore the ends of the earth, and encouraging all my adventures. I am ever grateful that you’re my mother…because I don’t think there’s any other woman who could put up with me. Refined sugar-free and dairy-free, these frozen ice pops make a healthy and satisfying summer treat. With only a handful of ingredients, they're a breeze to make! In a small sauce pot, combine blueberries, water, and 3 tablespoons maple syrup. Bring to a boil until liquid is syrupy and thick. Remove from heat. No need to mash the blueberries, keep them as is. In a small bowl, whisk together 2 tablespoons maple syrup, coconut milk, and almond milk. Fill popsicle molds a little over half full of coconut-almond milk. Spoon in blueberry mixture to fill the popsicle mold. Place mold in freezer for 1 hour. Remove molds and insert wooden sticks into each popsicle cavity. Place mold back in the freezer for at least another 4 hours until ice pops are solid. I use these popsicle molds from Amazon. These look absolutely beautiful. If it wasn’t currently winter on this side of the world, I would be heading straight to kitchen and whipping these up! Instead, I’ll exercise some patience and wait until spring ;) Lovely tribute to your mum, food is such a great way to express gratitude and love. Oh my gosh – these look amazing! Not only are the photos beautiful, but they look like they taste amazing too! 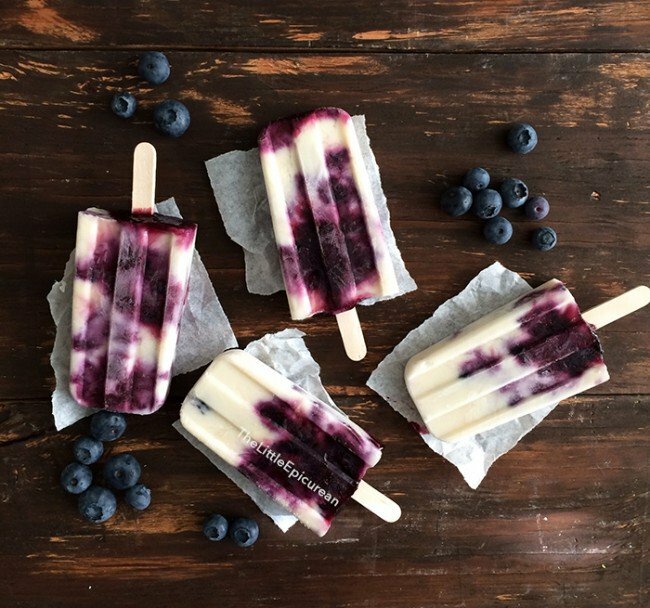 The pops look good, I never liked blueberries since I worked at a blueberries farm for two years in summer. Picking blueberries to make some money so I could do fun things with my friends. We had to get up REALLY early in the morning to pick the blueberries while it was still cool enough to be outside. Ugh, I hated that so I also didn’t like blueberries. But now I eat them and I like them! Haha! I just opened a can of coconut milk and I only used a bit, I should make pops too! Thanks Ellen! Haha, I probably would hate blueberries too. 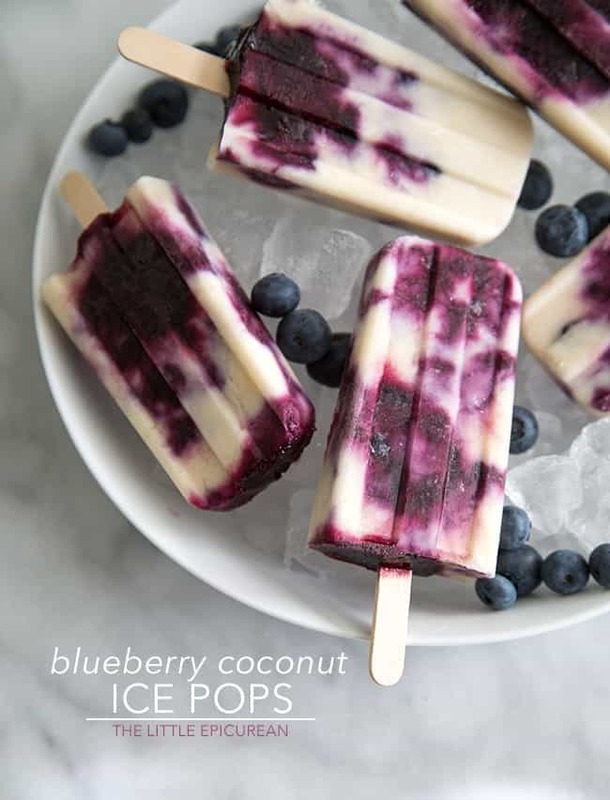 Definitely use coconut milk for pops. They’re so good! I love that story – what a fun time with your mom, and woah, that Hawaiian Punch flavor sounds so cray – cherry Jello powder?!?! What a great idea! I had a couple of questions: What kind of almond milk should we use? Unsweetened or sweetened? Also, how long does it take for the blueberry, maple syrup, and water mixture to boil? I used unsweetened almond milk. Boil times can vary depending on your altitude and humidity. It can take anywhere from 3 – 9 minutes. You could use regular milk, soy milk, or even just use all coconut milk/cream. I’m not fond of using maple syrup. Could raw honey be substituted instead? Did you receive a reply? I have the same question. Yes, you can use honey- but it will alter the taste slightly. Where do I purchase ice-pop molds? I bought my at Amazon.com. There is a link to the product in the recipe notes.